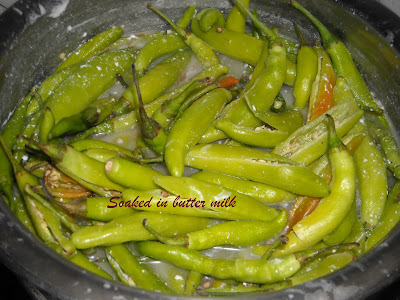 This is in continuation with my earlier post about the things which we do in summer and which is stored for a year and used through out the year.One such food is uppu mirapakaya/Majiga mirapakaya/curd chillies.It is a lengthy process but worth preparing it.It goes very well with hot rice and dal.And i love to eat with curd rice.Once again i didn't do this,my mom did for me. 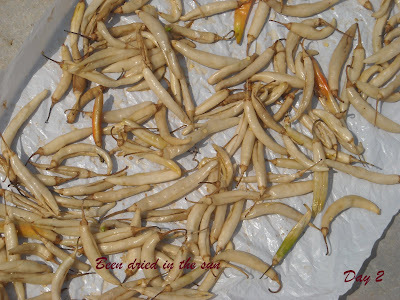 Dry them in the hot sun on a cloth or on a plastic paper.It is best on the cloth because we share our terrace i had to opt for plastic paper as the cloth leaves mark on the terrace. Evening get them back.And again dry them for another day on the plastic sheet. 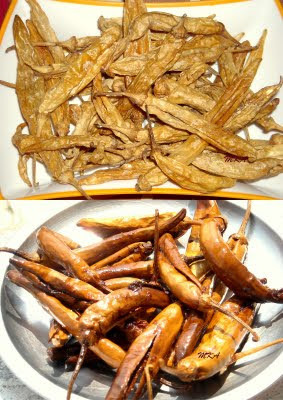 Dry them in a similar way for another 2 days and they become crispy. 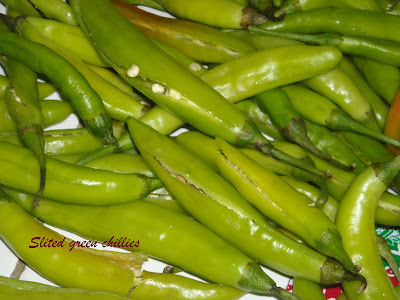 Deep fry them and serve it with hot rice and sambar. 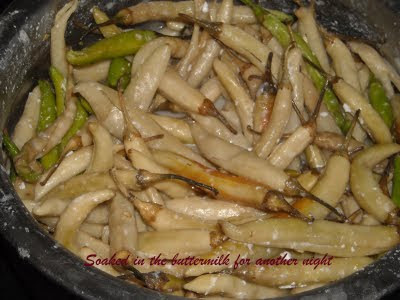 My mom makes this...Thats a good one with curd rice or kanji...Nice post..
Lovely post..love this so much. so perfectly made uppu mirapakaya !! LOOks so tempting !! 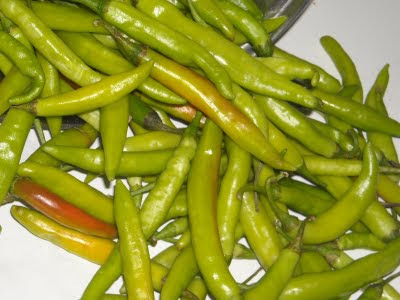 love to have with sambar rice !! Wowww.... Uppu mirapakayalu chala bagunnayi.. thanks for sharing !! wow, that is soooooooooooo simple. I didn't know it is so simple to make this. 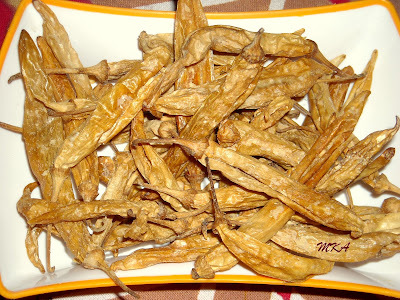 I love perugu mirapakaya. I am going to give it a try. 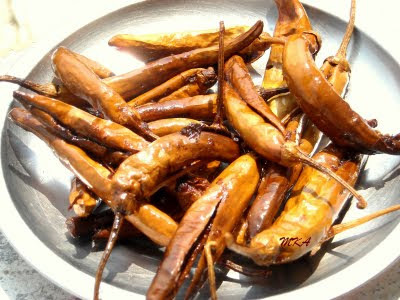 Delicious, amma used to make it a lot. 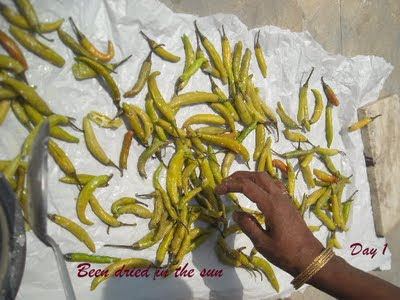 Omg,havent had this curd chillies, makes me nostalgic.. I love these but lazy to deep fry them!